Your state’s childhood cancer rates are within normal – but what about your community that was once home to a factory? People suddenly became ill after having a lakeside picnic too close to idling boats – how prevalent is carbon monoxide poisoning from these lesser known sources and does the public understand their risk? Public health wants to understand the impact of extremely hot temperatures on people’s health – how can they get gather and analyze hospital data so they can properly inform the public of their risks and necessary precautions? 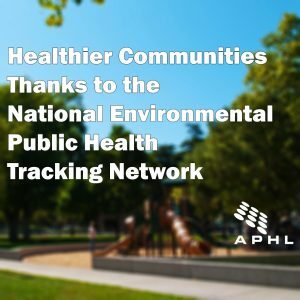 The National Environmental Public Health Tracking Network can provide answers to all of these questions. Before CDC launched the Tracking Network in 2002, environmental health data may have been collected at the county or state level but not usually at the community level; and oftentimes public health practitioners, healthcare providers and researchers weren’t sharing data to support one another. Tracking programs around the US are gathering data that better illustrates what may be happening within a particular city, neighborhood and/or demographic; that information is then made available to researchers, healthcare providers and public health practitioners in the form of maps or well-organized databases leading to faster responses. Winchester, Massachusetts parents were becoming increasingly concerned about the sediment left in a popular park by an adjacent river’s flood waters. In the same park, an herbicide was used that added to concerns about the park’s safety for kids. Were these things likely to cause childhood cancer? At the request of these citizens, the state tracking program began to investigate. They looked closely at the herbicide and the contaminants from the river, and they reviewed statewide childhood cancer data and compared it to rates in the immediate community. 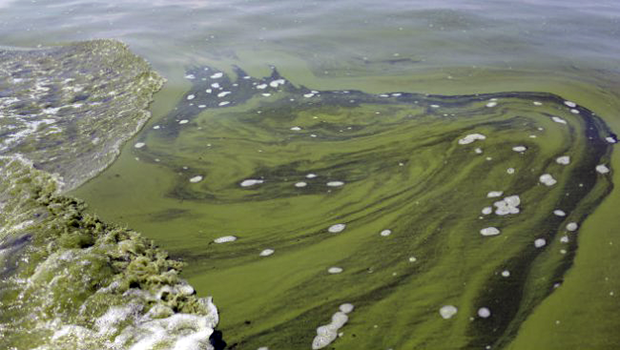 The tracking program’s final report showed that Winchester’s childhood cancer rate was similar to statewide trends – neither the flooding river’s sediment nor the herbicide were causing higher rates of cancer. While this information was reassuring, the Town of Winchester went one step further by deepening the channel of the river to prevent flooding. At an indoor pool party in a small Kansas town, more than two dozen kids suddenly became ill with headaches and nausea caused by carbon monoxide from the pool’s heater. Following this incident (and a few others), the Kansas tracking program developed an educational program to inform residents of the lesser-known – but equally dangerous – sources of carbon monoxide. The state saw a decrease in carbon monoxide poisonings after the educational program was implemented. Additionally, Kansas is considering regulatory changes that would require hospitals to report all cases of carbon monoxide poisoning giving the tracking program valuable information as they continue to monitor carbon monoxide incidents. Extreme heat events (aka, heat waves) cause hundreds of hospitalizations and emergency room visits in Minnesota every year. The tracking program analyzed data on hospitalizations and deaths to gain a better understand of high-risk groups, and compiled this data into maps. Using this information, they identified new populations that hadn’t previously been considered high-risk. Health agencies are now able to use this data to develop more targeted prevention and response systems before and during extreme heat events.